Christmas is right around the corner, but you already know that! 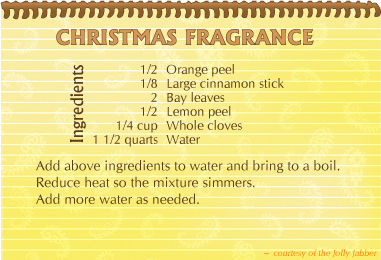 This is the best smelling fragrance at holiday time. I have a pot simmering the whole month of December! New: Following one of our reader's suggestions, click the recipe to get a printable 6" x 4" black-and-white version of this recipe card! Thanks, Kimberly!